[1:09] <thebeagle> how about you? [1:46] <RelicDK> It seems to me that "ifstatus" is not available for Raspberry Pi. Does anyone know of an alternative service to monitor network usage...? [1:49] <RelicDK> plug - i have no idea how to do that.. isn't that difficult..? [1:50] <gschanuel> i'm running this command on rpi "while [ true ] ; do ./codesend 12345123 ; sleep 1s; done"
[3:04] <th1> question, I just ordered MP2 and VC1 keys for one of my boards, then I get this PDF saying "Your key will be generated within 72 hours and emailed", does it really take 72 hours?? and why doesn't it get sent instantly?? [3:05] <th1> you'd think when they can set up this production system, they could set up an automated keygen! [3:07] <th1> with the TV's remote! [6:34] <Datalink> this is a more general linux question, one of my scripts keeps having it's process killed, it's a server so it should run 'forever'. I don't know why it's killing the process, any thoughts? [7:05] <Triffid_Hunter> Datalink: your server leaking, or the rpi simply doesn't have enough? [7:10] <shiftplusone> How many folks on your mc server? [7:18] <Datalink> dheeraj, firewall set up to allow the port through? [7:18] <shiftplusone> dheeraj, haven't we been over this already? [7:25] <shiftplusone> dheeraj, ah ok, Just looked up, Means you are connecting to the wrong IP, the firewall is blocking the connection or ssh is disabled. [7:27] <dheeraj> yes its working..
[7:28] <shiftplusone> K, I am a bit busy, I'll let someone else take this one. [7:38] <rikkib> Do you have a reference point or just in general? [7:39] <shiftplusone> ew... didn't see you as a java guy. [7:43] <dheeraj_> you mean nc ..?? [7:47] <shiftplusone> So if you are getting connection refused, that means the server is not accepting the connection. [7:48] <shiftplusone> So.... without more information, nobody can help. [7:48] <shiftplusone> No need to get snappy. Your code would be a start. [7:55] <shiftplusone> And the receiving end? [8:03] <dheeraj_> Hmm, these codes were running fine on the terminals..
[8:10] <shiftplusone> There are channels like ##c and ##linux, but asking in those might be worse than not asking. [8:18] <shiftplusone> rikkib, are you still around? I am having some trouble trying to figure out timing on the STM32F4. [8:19] <shiftplusone> Do you know of a reliable way to get the time between two events. I see how to get seconds and such, but something like the number of clock cycles would be ideal. [8:21] <shiftplusone> (it doesn't actually have to be clock cycles, but something that can handle an 18kHz signal accurately. [8:22] <rikkib> Does the machine have rtc? [8:25] <shiftplusone> Alright, thanks for giving it a go though. I'll see how I go with the timer. [10:49] <Phirel> I created a Minecraft pi edition patch that enables survival mode. Can someone try it out to see if it works? [11:12] <ParkerR> Phirel, May sound weird but how do I actually apply the patch? [11:23] <ParkerR> Will that work? [11:25] <ShorTie> is the patch a diff ?? [11:27] <Phirel> that is for a text patch, not a binary one. [11:31] <Phirel> you should backup minecraft-pi and then run this: "java -jar patchtool.jar patch minecraft-pi survivalpatch.mod"
[11:33] <Phirel> did you put survivalpatch.mod in the mcpi folder? [11:34] <Phirel> did you start the game? [11:39] <ShorTie> would it not just be easier to just change out the binary instead of trying to patch it ?? [11:40] <ParkerR> What patch tool are you using? [11:44] <Phirel> I'm going to try to figure out why the patching tool isn't working. [11:47] <shiftplusone> gordonDrogon, Hey, where have you been missing? [11:49] <gordonDrogon> been on a bit of a family break/holiday thing. [11:50] <Phirel> the patching tool is broken. [11:58] <Phirel> it looks like it is working. [12:00] <lord4163> Does anyone have Plex installed on their Pi? [12:05] <Phirel> I don't know yet. [12:05] <Phirel> do you have bsdiff installed? [12:05] <Phirel> that might work best. [12:06] <Phirel> bsdiff is probably the best option. [12:07] <Phirel> First I'll make the patch. [12:11] <Vialas> what is minecraft-pisurvival2 Phirel ? [12:12] <Phirel> It's for survival mode. [12:13] <Phirel> It was just locked. [12:15] <Phirel> but you can't hit them. [12:16] <Phirel> look around, they should be in there. [12:16] <Phirel> Also, if you hexedit the map and change the gamemode to 0, it will go to night and day. [12:18] <Phirel> I had to swap the CreatorMode and SurvivalMode Vtables. [12:20] <Phirel> I'm still working on fixing that. [12:21] <Phirel> It took me around a month to get the whole thing working this far. It shouldn't take too long to fix the GUI problem. [12:21] <Phirel> the animals might take longer though. [12:21] <Phirel> I spent 3 days looking for the animal problem and I couldn't find it. [12:22] <Phirel> It's probably one of the class variables which sadly don't have any correlation to the strings. [12:22] <Phirel> The world generator also has ores too. [12:23] <Phirel> I found that out by making a 20 block long by 40 block down plane of tnt. [12:23] <Phirel> then I blew it up, which lagged for half a minute. [12:23] <Phirel> I then saw that ore was spawning. [12:25] <Phirel> The trick to activating survival mode was making the game think that the main menu was the touch screen version. [12:27] <Phirel> I wasn't sure, there might of been. [12:27] <Phirel> I haven't played much of the PE version. [12:29] <Phirel> Another problem is the right mouse button. [12:30] <Phirel> Sometimes it gets stuck when using a crafting table or a furnace. [12:30] <Phirel> You have to right click quickly to get it unstuck. [12:30] <shiftplusone> Phirel, the pi edition is in C, not java, right? [12:30] <Phirel> But it is more organized. [12:45] <th1> hi guys, should I put a heatsink on my Raspberry Pi if I use "modest" overclock setting? [12:51] <Vialas> hmm that is a good q th1 , i also would like to know the answer to that. …. [12:55] <th1> Tachyon`, did you do audio decode as well since you needed 1024 for 1080p? [12:56] <gordonDrogon> th1, no heatsink required. [12:56] <th1> why were you downscaling? 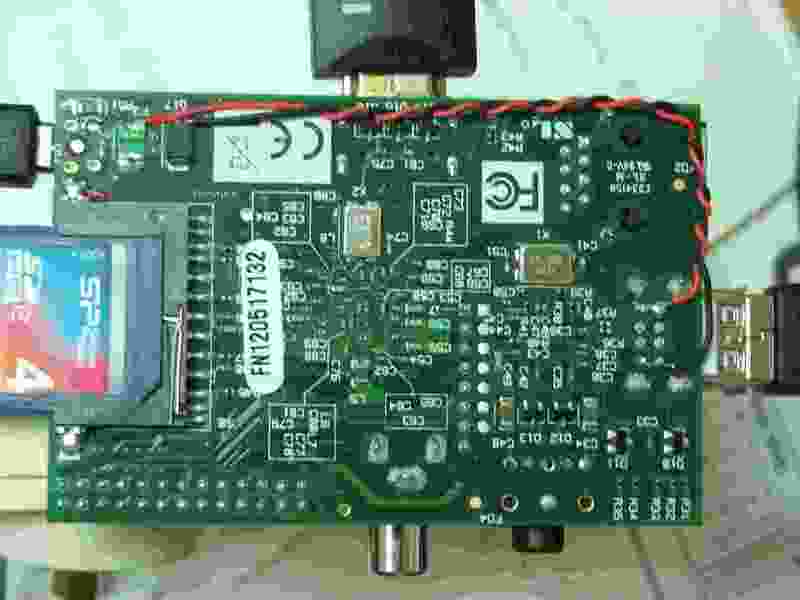 [12:57] <gordonDrogon> th1, the chip is designed to run at up to 85C. [12:57] <th1> so heatsink is only needed if I overclock aggressively and it throttles due to temperature? [13:17] <ShadowJK> the whole article on theinquirer makes me go "???" [13:30] <gordonDrogon> got a link to it? I rarely read the inq. [13:30] <gordonDrogon> ah, going it. [13:30] <gordonDrogon> er, found it. [13:33] <gordonDrogon> I think the special circumstances is just a refernce that an IR camera is not really for everyday use. [13:33] <gordonDrogon> not a comment on the Pi itself. [13:33] <gordonDrogon> The Pi noir is the camera, not the Pi. [13:35] <Tachyon`> is an IR one that with a filter removed? [13:36] <SpeedEvil> I wish the camera interface was open. [13:37] <SpeedEvil> So we could just connect any CSI camera. [13:37] <ShadowJK> gordonDrogon; what does he mean with the rpi crowd being pragmatic? [13:38] <ShadowJK> does he want people to buy the filterfre module or not just for fun? [13:42] <gordonDrogon> ShadowJK, I'm really not sure - I wonder if they meant using the Pi noir camera on other devices, but who knows. [13:43] <gordonDrogon> I do know that lots of people are using the Pi to do a lot of "backyard" science projects though - even some "serious" stuff like security, etc. [13:43] <ShadowJK> then he wouldn't be talking about the rpi crowd, though? [13:43] <gordonDrogon> I really don't know. [13:44] <gordonDrogon> I can only guess at the interpretation of that article as much as you - and I'm sure there is some "journalistic" changes there too, but who knows. [13:48] <Phirel> I think I might know how to fix the Minecraft PI invulnerable animal problem. I'm going to go work on fixing that. [13:51] <SpeedEvil> On a related topic to security. [13:51] <SpeedEvil> Has anyone got a USB cam to work flawlessly - not resetting or crashing or producing wierd output - 24*7 for months at a time? [14:37] <Nefarious___> I've had a good think and after a while, I thought, "I used my pi as a webserver, how boring" I've managed to think up a good project; but is it possible? To use a raspberry pi as an onboard flight computer on an rc plane. using GPS etc to calculate flight paths, time and so on. [14:38] <Nefarious___> Triffid_Hunter: in what respect? [14:39] <Nefarious___> the gps shield? [14:40] <Nefarious___> Triffid_Hunter: thanks a lot :) I'll take the advice and look around. [14:41] * Nefarious___ reads " The Pi won't be able to supply enough current to drive any but the smallest of hobby servos"
[14:42] <gordonDrogon> you'd typically use a "UBEC" to supply power to the electronics from the flight control batterys. [14:42] <gordonDrogon> (universal battery eliminator circuit). [14:43] <gordonDrogon> in otherworlds we call them SMPS devices(switch mode power supplies) same thing, different name. [15:23] <SpeedEvil> they should totally fit those to 747s. [15:23] <SpeedEvil> And 'makes the plane land safely' is somewhat optimistic. [15:55] <lord4163> Can I run Plex on Raspbian!? [16:07] <Koopz> anyone using Noobs? [16:08] <Koopz> as far as i understood it can be used as a multiboot-thingy like Berryboot? [16:09] <Koopz> would i be able to install gamepad drivers on NOOBS in order to control the OS selection via controller? [16:16] <Koopz> well... i guess i'm forced to use a keyboard/mouse for OS selection then... and still need to make my controller work on Raspbmc..
[16:42] <lord4163> What DLNA daemon should I install on my raspberry pi for streaming from my Synology NAS? [16:44] <Tonbi_ko> use minidlna . [16:47] <lord4163> Tonbi_ko: Do you have a Synology NAS? [16:50] <lord4163> Tonbi_ko: Oh but MiniDLNA can be used as client? [16:53] <lord4163> Tonbi_ko: But I want to use my raspberry pi as media renderer, what should I use for that? [16:59] <Tonbi_ko> keyborad for RSPI is only for temp use. [17:00] <Tonbi_ko> buy some usb keyborad with 5USD. [17:00] <andreiiar> I bought a cheap keyboard and could use it like 2 days. Now is not working anymore. But my raspi is. [17:15] <ponA> how can i force the pi to update its time via ntp? [17:16] <pksato> ponA: that is output off date -u ? [17:19] <ponA> is there a way to call the update script from the shell? [17:24] <ponA> pksato: any hint on that? [17:40] <gordonDrogon> more likely the timezone is wrong. [17:40] <gordonDrogon> run sudo raspi-config and check. [17:48] <fps> using archlinux for arm. is the correct device /dev/ttyAMA0? 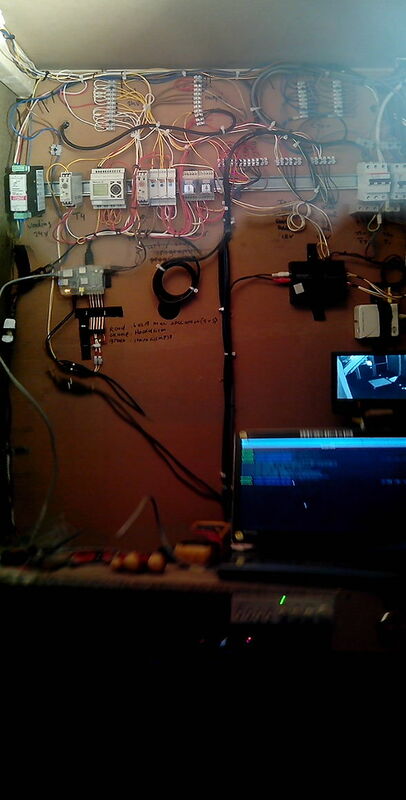 [18:06] <gordonDrogon> fps, /dev/ttyAMA0 is the Pi's on-board serial port. [18:09] <fps> gordonDrogon: ok. i thought that this board maybe hooked onto that..
[18:14] <ParkerR> Nothing like pianobar and compiling. [18:18] <fps> gordonDrogon: justto be clear: that's the serial interface in the GPIO? [18:18] <fps> gordonDrogon: if so then that's what i need to use..
[18:20] <gordonDrogon> yes /dev/ttyAMA0 is part of the GPIO connector. [18:21] <gordonDrogon> if it's < 16 then the clock is correct and its the timezone you need to fix. [18:23] <pksato> only stop and start ntp service. [18:23] <pksato> ntpdate is only to force time update. [18:27] <Tonbi_ko> you must in first, sudo su - to change root user. [18:27] <pksato> ponA: that is UTc time of you rpi now? [18:30] <gordonDrogon> just to check. [18:34] <ponA> why do i get "command not found" if i run ntpdate? [18:35] <Blashyrkh> should the ok led be on durin normal operation? [18:35] <pksato> date --set="+2 hours"
[18:36] <pksato> date --set="-2 hours"
[18:42] <ShorTie> ok led ?? [18:43] <pksato> I really should asked if network is working two hours ago. [18:45] <ShorTie> did you just unplug it, or shut it down properly ?? [18:50] <BCMM> what do you have to do to load a non-built-in initramfs on the pi these days? do you still have to fill in addresses and lengths in config.txt? [19:01] <davor> anyone here own a tiger parrot? [19:30] <mgottschlag> is the wlan stick in the powered usb hub? [19:31] <mgottschlag> weil das hier ein englischer Channel ist. [19:32] <Koopz> okay... so what should i do? [19:33] <Koopz> should i use a different power supply on my pi? [19:33] <mgottschlag> well, if you disconnect the power supply of the pi, does it still run? [19:33] <Koopz> does it make a difference which power supply i turn on first? [19:38] <Koopz> so it wouldn't make any difference if i use a different power supply on my Pi because the devices on the hub won't benefit from the higher current? [19:38] <gordonDrogon> devices will only take the current they need. [19:38] <gordonDrogon> you can power a Pi from a 1000 amp 5v supply and it won't hurt it. [19:40] <th1> would it not be simplest just to cut the power on the hub from the pi? [19:41] <Koopz> and how am i supposed to do that? [19:44] <gordonDrogon> or don't cut the trace and just do it. [19:46] <gordonDrogon> but you don't need to make life hard - the Pi is supposed to be easy. [19:46] <Koopz> so MY options would be... a new USB hub with more power or an external 3,5" HDD? [19:46] <th1> how is the hub input connected to the pi? with a plug or a cable that's fixed to the hub? [19:49] <Koopz> what would in that case happen if my WLAN stick is downloading too much again? [19:50] <Koopz> would i plug it into the Pi or in the hub together with the HDD? [19:50] <Koopz> or would i plug the WLAN stick into my hub and the HDD into my pi? [19:55] <gordonDrogon> some hubs are too cheap too. [19:55] <gordonDrogon> a 2A PSU on a hub powerring the drive and the Pi should work - in theory. [19:55] <gordonDrogon> I seem to have gotten a good one - but I did pay a massive �14 for it. [19:56] <gordonDrogon> I've powered 3 Pi's from it. [19:57] <Koopz> so... open the wire that's connecting the hub and the pi, cut the red 5v (IF they're coloured) and try again? [19:59] <spldart> s to place a 2 inch fan on the case. It runs rather kewl. [19:59] <th1> Koopz, do you have a multimeter? [20:01] <Koopz> would this help me with my original problem? WLAN stick turning off because of things? [20:06] <Davespice> anyone experiencing any gmail problems? [20:09] <spldart> Or perhaps there is a place on the intarwebs where peeps compare overclock stability and benchmarks? [20:12] <th1> Koopz, what is the marking on the PSU for your hub? [20:13] <th1> and what's connected to the hub? [20:22] <Daulity> The whole X thing isn't really needed then ? [20:26] <Amadiro> CDR`, it says there "5V Supply voltage for logic (option +3V)"
[20:26] <Amadiro> Blashyrkh, 16 to GPU? [20:28] <Amadiro> "arm224_start.elf : 224M ARM, 32M GPU split (use this for Linux only with no 3D or video processing. Its enough for the 1080p framebuffer, but not much else)"
[20:29] <Amadiro> I totally overlooked that. [20:29] <Amadiro> "(use this for headless mode only. It is enough to boot the system, but you can not use video at all.)" [20:37] <gordonDrogon> I think I'm running my Pi's with 16 and getting HDMI. [20:38] <gordonDrogon> and that Pi runs HDMI output perfectly well for X windows. [20:43] <th1> is raspberry pi supposed to hvae 256MB or 512MB of ram? [20:44] <th1> so if I buy new ones they'll be 512? [20:45] <pksato> if this new is a model B, yes. have 512MB. [20:45] <th1> any other differences? [20:47] <pksato> not populated extra gpio headers. [20:47] <gordonDrogon> the main difference is the polyfuses and a fix on the 3.3v line on the ether/usb hub and additional gpio. [20:47] <gordonDrogon> some of the gpio pins have changed numbers too. [20:59] <gordonDrogon> with the ribbon cable coming out the bottom. [21:00] <gordonDrogon> what's it controlling? [21:15] <Koopz|afk> anyone here using NOOBS? [21:19] <ShorTie> why you using NOOBS then ?? [21:24] <gordonDrogon> how often do you change OS? [21:24] <gordonDrogon> if not-very, then just have one SD per OS image? [21:29] <gordonDrogon> get 2 Pi's. [21:50] <BCMM> Amadiro: any idea if the packages are available for raspbian, or do i have to reinstall for them? [21:53] <Amadiro> BCMM, which packages specifically? [21:53] <msch> hi, I switched the cpu's scaling_governer to ondemand yet it still always stays at 700 mhz. is there something else I have to change? e.g. set force_tub=1 in /boot/config.txt or something? [21:55] <gordonDrogon> msch, it stays at 700 until you run something cpu intensive. [21:55] <msch> do I need to e.g. set arm_freq_min = 800 or something? [21:56] <msch> so that setting is necessary in order for the ondemand governer to scale upwards? [21:57] <gordonDrogon> I guess so - its been a long time since I looked at all that - I only have one Pi with 'turbo' mode. [21:57] <gordonDrogon> and I let the raspi-config set it. [22:02] <fordcars> Do you need to cd to the path of Doom to do that command? [22:12] <fordcars> Oh ok thanks. the thing is I never found PiStore's directory! [22:18] <BCMM> Lude123: why are you doing "sudo make"? [22:21] <Lude123> the instructions say to get at least boost vers. 1.38.0 i installed the newest 1.54.0.... should i try to install the older ones? [22:22] <BCMM> Lude123: which version of ghost++ are you installing? [22:22] <BCMM> i mean, svn or release? [22:26] <Lude123> should i try the SVN ? im getting it right now. do i need to delete the old one or does it overwrite? [22:34] <fordcars> I found the PiStore directory! [22:37] <BCMM> Lude123: uh, how did you go about getting the SVN sources? [22:38] <BCMM> and did you cd to the directory with teh svn source, or did you just try to build the sources from the zipfile again? [22:40] <BCMM> Lude123: did you change directory after the svn checkout? pardon the question, but how new to the linux terminal are you? [22:43] <BCMM> did you do "svn checkout http://ghostplusplus.googlecode.com/svn/trunk/ ghost" as per the instructions? [22:44] <BCMM> it will have made a new subdirectory called "ghost"
[22:50] <Lude123> BCMM: Thank You very much! that seemed to be the solution. It appears to be compiling (still working). No error so far! [22:50] <BCMM> Lude123: good luck! [23:46] <nerdboy> Lude123: how did you configure ghost? [23:46] <nerdboy> is c++ support optional, and if so, do you need it? [23:53] <Lude123> in the home dir?